I’ll begin by attempting to untangle my usual, traditional gray-headed Thanksgiving Day thoughts with this very celebratory old poem written by Ben Johnson (in olde English—delightfully) which beautifully captures the mood of dinner and friends. Read it once, read it twice. Read it aloud…digest the lusciousness of the language. …………..Something, which, else, could hope for no esteeme. …………..The entertaynment perfect: not the cates. …………..The skie not falling, thinke we may have larkes. ………………………….Their Jives, as doe their lines, tiii now had lasted. …………..Are all but Luthers beere, to this I sing. …………..The libertie, that wee’ll enjoy to night. If Christmas is all about love, almost world-wide, Thanksgiving gives the nod, the handshake, the hug to gratitude– purely American, our beginning. If Christmas is carols and Christ and light, Thanksgiving is the color of harvest, wrapped in a wooly gray shawl to fend off wind, cold rain, fresh snow. Christmas for me is Dickens–England; Thanksgiving, Robert Frost…New England-American, giving thanks of-a-sort in a private way. The poetry of talking to oneself in the dark. I was about to expound on this in great detail–what I really feel about this holiday…how my ethnic neighborhood “bringing up” respected and loved old world grandma’s (babi’s) bountiful table of laughter and language (loud, Crackling Czech Only spoken here), uncles and aunts and cousins and… And how this only child (someday-to-put-it-all-down-on-paper) turned away from this in time and learned to love, carve out a singular silence of Thanksgiving Days and most holidays…Alone. (Please, NO invitations). I’ll leave it at that for now. I’ll leave it to me on a walk…in the house baking bread…comfortable in the diminishing light, anticipating the thoughtfulness of night. I give thanks for the American poet Robert Frost who speaks, time and place, with a gratefulness, a gnarly old poet’s perspective of what is, is–rendering into prayer, what a November soul feels. …..She walks the sodden pasture lane. …..Is silver now with clinging mist. …..And vexes me for reason why. But it were vain to tell her so. …..And they are better for her praise. simply magnanimously STELLAR post today. ahem. Perfect. 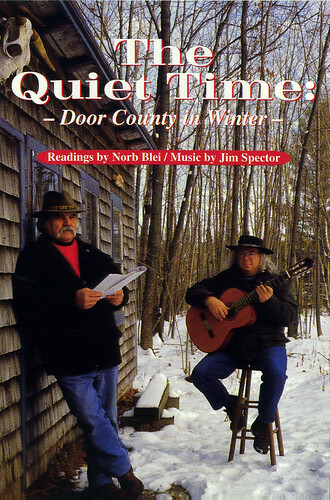 Once again I spent my time on the deer stand, with works by Norbert Blei as my meditative companion. Also perfect. Words cannot express how impressed i constantly with your good taste in words, whomever writes them. I’ve spent the last two years studying how our human “stories” (including poetry) travel through time, history, and people of all cultures, and how they come to travel to where they are, and your energy certainly adds to their ultimate journey. Happy Thanksgiving! and of Blei’s and Frost’s! You are never quite alone with that crowd of memories! Once again to the heart of the matter embellished by sheer ageless beauty. How the spirit of poets linger. How you serve them up to us, some like hot coffee, some like champagne…some like a glass of red wine. And we sip and sip, and give thamks to you among our other blessings. Brings me back to 1989 as I spent Thanksgiving Eve on the last night of the old Czech Republic! “The poetry of talking to oneself in the dark.” Phil Hansotia. Again, I am thankful that you share your thoughts with me in simple, but beautiful words that show me to your home and your heart. I am always left with a warm sense of peace. 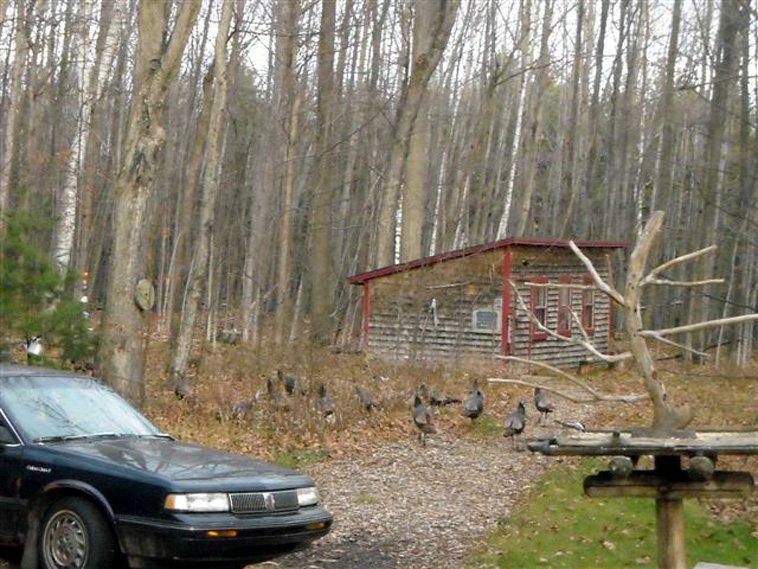 Here too, six toms paid us a Thankgiving visit…yes they would have been fine eating, but I no longer have the urge! The old poem reminds me of a time about 35 years ago when we lived in eastern Mass. Thanksgiving there was close to the original Plymouth Colony, and in late Novemberr our neighbor and I went fishing off the Plymouth dock for tomcod. We caught a pail full! Robert Frost forces me into quiet introspection. He says so perfectly what I think and feel. Thank you for giving us these beautiful thoughts.